“Are we going to witness a security crash followed by an economic break-down?” Such is the opening question that Dr. Beate Maeder-Metcalf, Vice-President and Director for Regional Security of the East-West Institute, posed to the panelists and guests attending the event “2014 – Afghanistan in Transition” that took place in Brussels on June 11. It was organized to assess the current Afghan security situation and to launch the Institute’s latest report “Afghanistan Reconnected – Regional Economic Security Beyond 2014” which focuses on the economic and regional aspects of the transition. H.E. Mr. Homayoun Tandar, Ambassador of Afghanistan to the European Union, Belgium and Luxembourg, was the first panelist to tackle the issues on the table. He deemed that the international public opinion tends to see the end of 2014 as the end of the Afghan state itself. It also puts an exaggerated emphasis on notable but ineffective Taliban terrorist actions conducted by isolated groups that are not able to lead the country to a situation of war. The state’s regular forces are in control of the whole territory. Mr. Tandar regards the first round of the presidential elections as a triumph, as the Taliban have been unable to act and surprise the army with major offensives. In his words, “in a relaxed atmosphere, roughly 7 million of Afghani have cast their votes on April 4th first round of elections; at least the same number of people is expected to take part in this Saturday’s, June 14 2014, second round”. Furthermore, Mr. Tandar added that eight million children go to school, 12.000 kilometers of roads have been built, and the national GDP is constantly growing (around 10% in the recent years and 3,5% expected by the World Bank for the current year); such data indicates that there are security conditions allowing confidence to prosper. The challenge will instead be to financially support the security forces, as they will take full responsibility from the International Security Assistance Force (ISAF) on December 31, 2014. In that sense, the cooperation with Pakistan against terrorism has the goal of cleaning the region of both physical agents and extremist ideologies. Reaching a satisfactory level of energy supply security is a condition of the first importance in order to improve Afghan well-being, to create possibilities for investments and subsequently to create jobs. They should come from medium and small enterprises as an answer to the 400.000 youngsters entering the Afghan labor market every year. H.E. Mr. Rustamjon Abdulloevich Soliev, Ambassador of Tajikistan to Belgium, the Netherlands, Luxembourg, the European Union, NATO and UNESCO then proceeded to express the position of Tajikistan, with which Afghanistan shares 1400 kilometers of common borders. 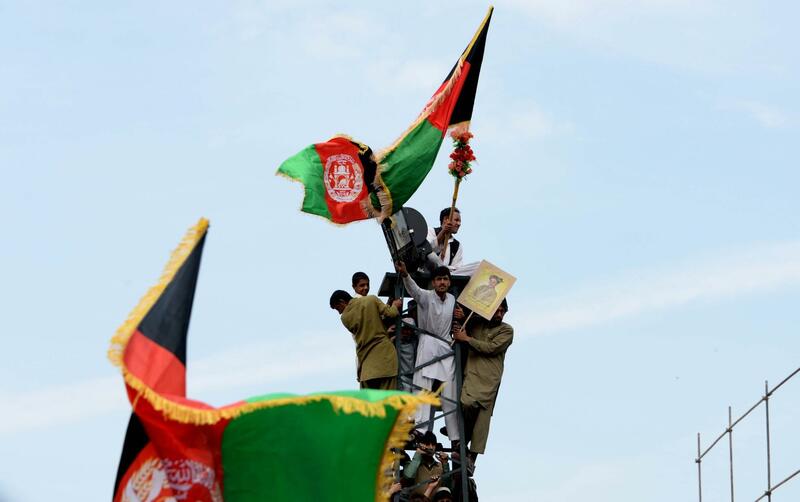 In his view, a cooperation regime is highly functional to Afghan stability. According to him, there are few main points around which the countries’ cooperation should be implemented. Firstly, in the energy sector, Tajikistan can be a reliable energy supplier to Afghanistan which is something the latter badly needs. The 2013 regional project “CASA-1000” allows Tajikistan and Kyrgyzstan to sell surplus hydropower to Afghanistan and Pakistan. Secondly, infrastructures and transports are deemed essential in order to boost trade and to take advantage of the central position of the Afghan territory within the Asian space. Five bridges along the border have been built in the last years, six others are under construction, and two more are due to be completed soon. In addition, Mr. Soliev agreed with the claims of Mr. Tandar and cited the fact that tourists have come back to visit Afghanistan as a confirmation that the country is now an overall safe nation. He is firmly convinced that the majority of the population wants stability, peace and democracy. Dr. Safdar A. Sohail, Economic Minister, Embassy of Pakistan to Belgium underlined that Afghanistan’s position on the map should allow it to become a transit road from Europe to China and vice versa. No country should be excluded from local cooperation; furthermore, those same countries cannot approach common issues as they are involved in a zero-sum game. It will be otherwise impossible to move common projects forward and to increase their number and relevance. Dr. Sohail closed his comments supporting the evidence of a so-far peaceful transition, as previously highlighted by Mr. Tandar. Towards the conclusion of the event, a Russian delegate affirmed that the stability and security of Afghanistan is in the national interest of the Russian Federation, and that therefore they are ready to share the burden of the participation in regional projects aiming at stabilizing the country and the countries around it. He noted that even President Obama has acknowledged Russia’s role as a regional power in the area. The final remarks highlighted agreement among participants that there is a need for trust and confidence in order to obtain positive foreign direct investment flows and to avoid the leak of local capital abroad. A potential in energy and trade is present but the lack of local funds and resources could hamper full economic development, both internal and regional, with negative consequences for all players involved. This entry was posted on 13/06/2014 by ISIS Europe in Conferences, Contributors, Manuel Tornago.